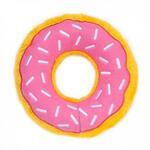 Get your sweetie a sweet toy with no sugar added with this ZippyPaws Donutz Dog Toy! Looking for a toy that's as sweet as your pet? Our Zippy Paws Donutz feature embroidered "sprinkles" and a strawberry "frosting" that make them look like real delicious donuts! 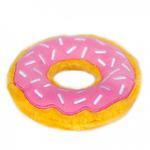 Your pup will love this stuffing-free plush fabric doughnut dog toy. Each donut includes 2 ZippyPaws exclusive Crescent squeakers. The Donutz also rattle! are designed for small and medium-sized dogs that love to squeak. 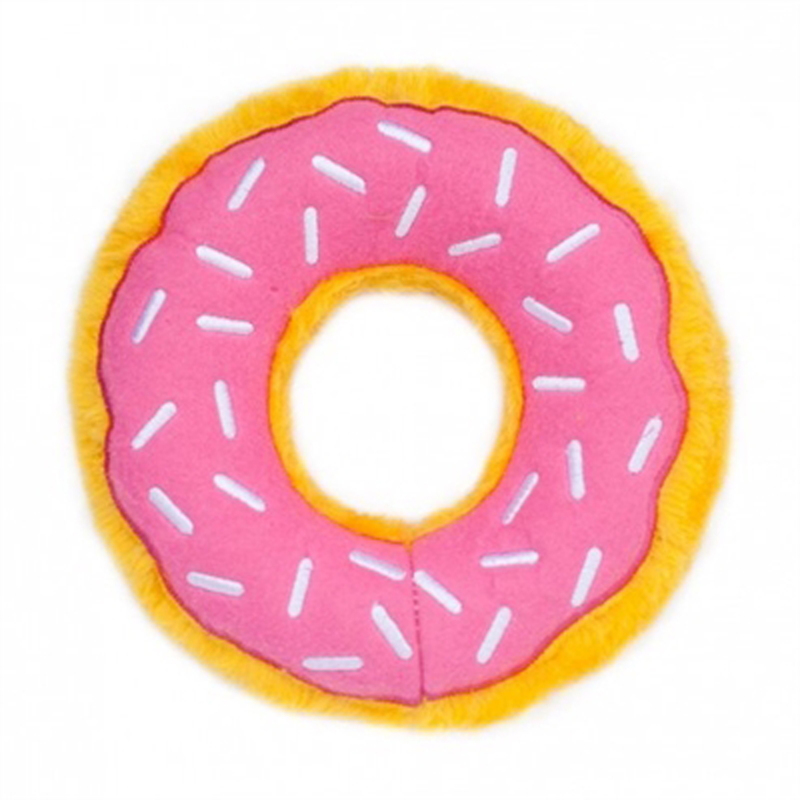 These Donutz dog toys are ideal for fetching, mouthing, and cuddling with. They are cute enough that you won't mind if your pup forgets to tidy up after playtime. are designed for small and medium-sized dogs that love to squeak. The ZippyPaws Donutz toys are durable and designed for small and medium-sized dogs that love fuzzy squeaky toys. This sugar-free, zero calorie treat toy won't go to their waist! In fact, this Donutz dog toy might help your pup watch her figure with active playtime. Always supervise your pet with any toy. Discard should the toy become damaged. ZippyPaws Donutz Dog Toy - Strawberry Customer Photos - Send us your photo! Posted On 06/09/17 by Loida Cardenas from WestPalmBeach, FL Yes, Loida Cardenas recommends this product! It's bigger than my Chihuahua and she loves it. Will play with it for 15 minutes straight. Posted On 02/07/17 by Joan K from Lakewood, OH Yes, Joan K recommends this product! Smaller toy for smaller dogs. Colorful! Posted On 12/22/16 by Irene S from Long beach, CA Yes, Irene S recommends this product! Posted On 06/26/15 by Lauren D from Saint Joseph , MO Yes, Lauren D recommends this product!